Keith G. Moe, 72, of rural Woonsocket, died Thursday, May 1, 2014 at the Sanford Hospice Cottage in Sioux Falls. Funeral services were Tuesday, May 6 at St. Wilfrid Catholic Church in Woonsocket with Rev. Rhonda Wellsandt-Zell officiating. Burial was in the Silver Creek Cemetery at rural Woonsocket with military rites by the Woonsocket American Legion Post 29. Visitation with a prayer service was Monday, May 5 at the Bethany Lutheran Church in Woonsocket. Keith was born to William and Irene (Jacobson) Moe on Nov. 7, 1941 in Huron. He attended grade school for six years at Silver Creek Township Country School and graduated from Woonsocket High School in 1959. 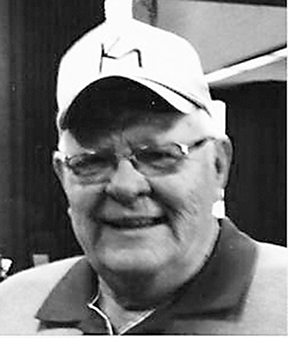 He continued his education at South Dakota State College in Brookings, graduating with a degree in ag-business in 1963. After college Keith proudly served two years in the United States Navy. After returning home, he worked for two years at the Production Credit Association and two years for Northwestern National Bank. He married Karen Eden on June 21, 1969 in Huron. That fall they moved to the farm in Woonsocket where they raised their family. Keith worked as a rural mail carrier for the US Post Office in Woonsocket for 18-1/2 years. His passion was his farm and family. He spent many hours and smiles enjoying a good conversation with friends and neighbors. He was a lifelong member of Bethany Lutheran Church in Woonsocket. He is survived by his wife, Karen of Woonsocket; sons, Kevin (Amber) Moe of Brookings and Kurt (Kari) Moe of Sioux Falls; six grandchildren; one sister, Ila Anderson of Huron; two sisters-in-law, Mary Alice Moe of Woonsocket and Jane Knutson of Long Lake, Minn.; and many loving nieces and nephews. He was preceded in death by his parents; his brother, Wallace Moe; grandson, Garrett Moe; niece, Ilene Cooper; and brother-in-law, Robert Eden. Arrangements were announced by Basham Funeral Service. Visit www.bashamfuneralservice.com to leave condolence messages. Scott W. Vawser, 30, of Mt. Vernon, died Tuesday, April 29, 2014 at his residence of natural causes. Funeral services were Saturday, May 3 at Zion Lutheran Church in Mitchell. Burial was in Graceland Cemetery in Mitchell. Visitation was Friday, May 2 with a prayer service at the church. Scott was born Jan. 17, 1984 in Mitchell to David and Tammy Vawser. He grew up in Yankton, Woonsocket and in most recent years, Mt. Vernon, where he graduated from high school in 2003. Scott was employed in Mitchell by Walmart, Kmart, Boyd’s Gunstock and was presently working at Coborn’s. He touched the heart of many people, always laughing and hanging out with friends and able to put a smile on their faces. His hobbies included racecars, mud trucks, video games and most of all, being around his family and friends. Scott was an avid Chad Greenway, Vikings and race car fan. He loved to collect baseball, basketball and football sport’s jerseys, never wearing any of them for fear of getting them dirty. He gained the nickname, “Paco” from his high school friends because of his love of pizza and tacos. Scott is survived by his parents, David and Tammy; his siblings, Chase and Rebecca Mackey, Zach Vawser, Sheena and Trevor Schreiber, Matt Vawser and Stephanie and Justin Everson; grandparents, Mike and Linda Mendenhall; uncles, Stacy and Mike Mendenhall, Gary (Helen) Vawser and Doug (Martina) Vawser; four nieces; four nephews; and many friends. He was preceded in death by his twin brother, Steven, and his grandparents, Larry and Bernice Vawser. Memorials for Scott are preferred in lieu of flowers. Arrangements were with the Bittner Funeral Chapel. 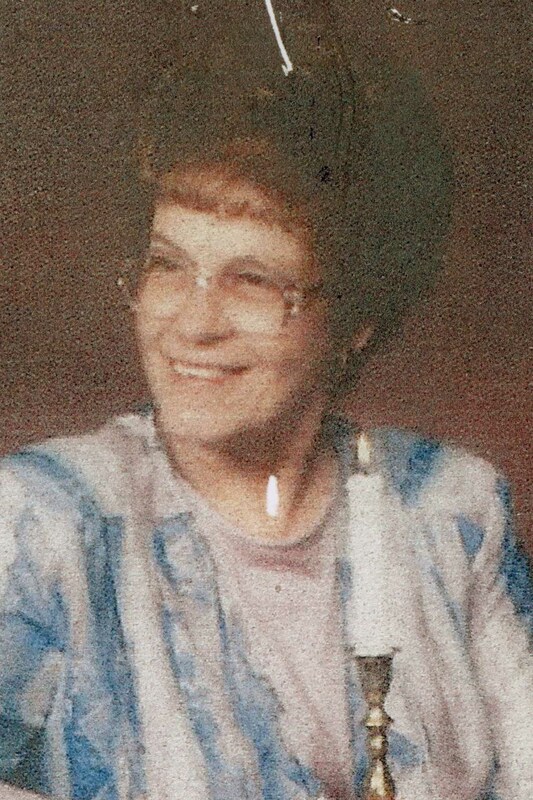 Myrna LaRae Jenssen of Highlands Ranch, Colo., passed away April 4, 2014 at Highlands Ranch, Colo. Her funeral services were held Monday, April 14 and burial was in Fort Logan National Cemetery in Denver, Colo.
Myrna LaRae Jenssen was born Nov. 8, 1931 to Fred and Edith Ammon in Lane, After graduating from Woonsocket High School in 1949, she began working at the Hendrick’s Grocery Store. She worked in different stores, with her last job being at Safeway in Littleton, Colo. She loved working with the public and people enjoyed her infectious smile. Myrna was active in the United Methodist Church. She enjoyed scrappin’ and made over 60 scrapbooks for her family and friends. She really enjoyed spending time with her children, grandchildren and great-grandchildren. Survivors include Terry (Cherie) Ritchhart of Cheyenne, Wyo., Kim (Roberta) Ritchhart of Friendship, Wis., Tami (Aaron) Lopez of Highlands Ranch, Colo., Jeff (Terri) Jenssen of Denver, Colo. and Jodi (Ike) Lester of Conifer, Colo.; many grandchildren and great-grandchildren; sisters, Marva (Bob) Parsons, Marilyn (Les) Hollingsworth and Leora (Dale) Christian; brothers-in-law, Jerry Jenssen (Gloria) and Bob Jenssen; father-in-law, Kenny Parker; and a host of nieces and nephews. Preceding her in death was her husband, Tom; granddaughter, Jenna; and several other family members.